How is your height safety equipment tested? 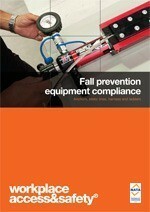 Height safety equipment is like a fire extinguisher: you can’t wait until an emergency to check it really works. But how can you be sure it does? Begin by asking the manufacturer for test certificates issued by a laboratory independently accredited to carry out the specific testing. If you are not satisfied with the results or the laboratory’s credentials, or simply need the certification reviewed, contact us. We can clarify the equipment’s status for you or carry out testing to confirm its capability. The test rig can be reconfigured to reproduce a variety of different roof designs for accurate simulations of real life conditions. Testing is filmed and photographic evidence is captured to produce comprehensive reports detailing the findings. Watch how anchors are tested in Workplace Access & Safety’s NATA™-accredited laboratory. 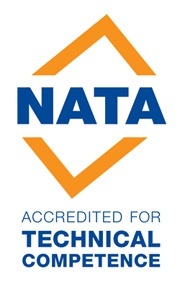 NATA™ provides independent assurance of technical competence of testing facilities. Utilising a proven network of best practice industry experts, NATA™ provide customers with the confidence that the testing facilities they accredit produce reliable technical results.